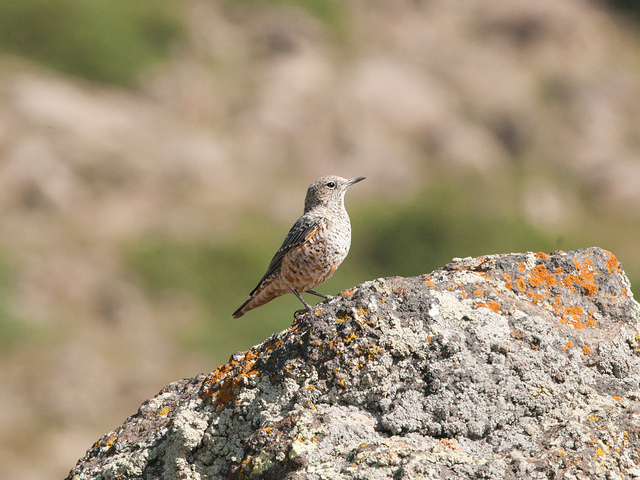 The Common Rock Thrush breeds in mountainous areas, often higher than 1500 meters. The male is distinguished by its magnificent red and blue colours and the white spot on the back. 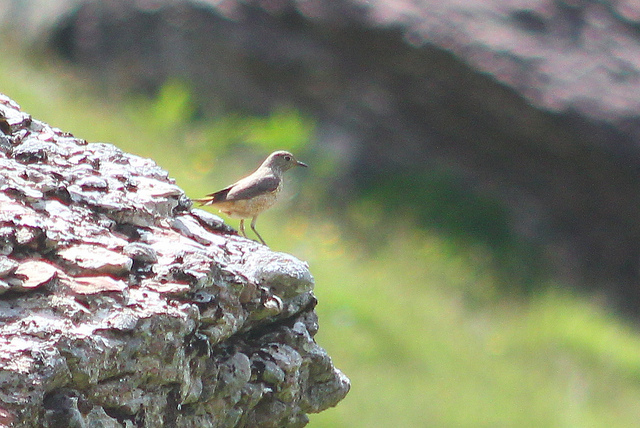 The female is dark brown and striped.